Getting the best ceiling fan is the way to have a good air circulation in your home. When air is evenly distributed throughout, you would feel like the room you’re in is larger and lighter which is a very pleasant experience to have. 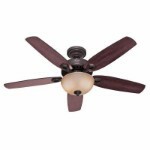 You’re probably looking for the top rated ceiling fans so that you make the best choice. 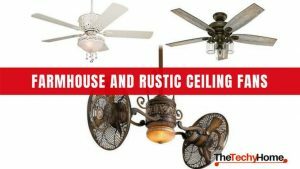 In order to pick the one that best suits your needs , I’ve written these ceiling fans reviews which can serve you as a guide because as there is much to say about these rotating blades devices. Did you know that you can use a ceiling fan in the winter ? In addition to giving the wind chill-effect that ceiling fans provide during summer, they can also useful in fall and winter. Changing the direction of your fan to clockwise during winter will create an updraft recirculating heat which will make the room feel warmer. This is also a good news for your wallet as it will allow you to lower the thermostat temperature and save energy and money. The fan direction for summer, as you’ve probably guessed it, is the inverse for winter, so it should be counterclockwise. That way, the air flow is pushed downward creating the wind effect and therefore will make you feel cool. These ratings are based on Amazon’s consumers reports on ceiling fans. Many of these costumers purchases have been verified by Amazon. But there is also two factors that needs to be taken in consideration and which are : the place where the fan is going to used and the style desired. After doing researches, I have selected five of the best ceiling fans according to specialists and which are also highly rated on Amazon. 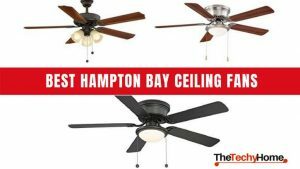 You can for sure find other fans which are close in comparison to these, but it’s more safe to shop what customers are recommending out of experience and which professionals have labeled as high quality, performance and durability in their category. These ones are also among the quiet ceiling fans out there. We start with the top of the list. 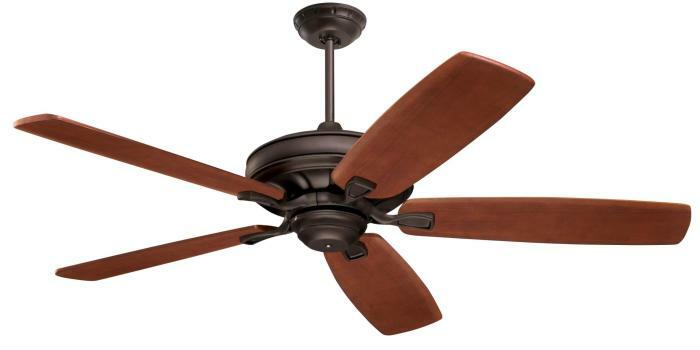 The Emerson ceiling fan wins on our best ceiling fans reviewed today. It’s a high quality fan that will move a lots of air all by running smoothly and quietly without wobbling. The U.S. Government Energy Star program awarded the Emerson Carrera Grande Eco for being “Most Efficient”. This fan’s DC motor is 3 times more efficient than typical ceiling fan motor as it uses only 33 watts of electricity on high speed. It’s also a very nice looking ceiling fan which style will fit in almost any interior design, especially if you have wood plank flooring. This fan’s style is customizable as there are blades in various furniture grade finishes which you can purchase separately. This makes able to fit many styles as well as any medium to large size room as the blades are available in 54″, 60″ and 72″ sizes. Inside this nice looking device is a powerful and efficient DC ECO Motor which allows the fan to produce over 7,100 CFM of airflow (tested with 60″ blades).The EPA (Environmental Protection Agency) efficiency rating of the Carrera Grande Eco is 360 CFM/Watt. A 6 Speeds remote control is included with this Emerson fan and which has a reverse function and light dimmer for more convenience. If a ceiling fan with lights is what you’re looking for, a variety of light kits are available to choose from that you can add to this fan. Fluorescent, incandescent, Halogen and super efficient LED are all options you can choose from. A downrod is included with the fan and measures 4-1/2-inch. If you plan to hang it on a pitched ceiling, then you will have to buy separately the Emerson Sloped Ceiling Kit. It’s a bit pricey, but many customers are happy to have it and said that It worth the money. Don’t forget that if you purchase it from Amazon, you will profit from a Limited Lifetime Motor Warranty Backed by Emerson. Hunter is a company that has over 25 years in the fan industry. 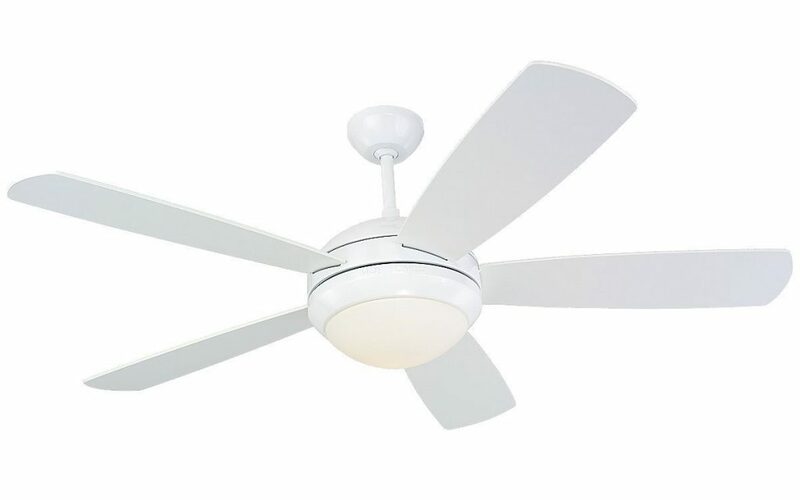 Destined for rooms up to between 125 and 250 square feet , the Hunter Builder Deluxe is a high rated ceiling fan that comes with two 60W candelabra incandescent bulbs and a remote control to change between its 3 speeds. The motor is able to run the fan in reverse and is one of the quiet ceiling fans you can find in the market. The Hunter 53091 produces airflow at more than 5000 cubic feet per minute with 64 watts max of electrical usage. This means the airflow efficiency is slightly higher than average as it’s equivalent to 80 CFM per watt. In order to install the Hunter Builder Deluxe, your ceiling should be at least eight feet high. You’ll find included with the fan an installation manual, a balancing kit and instructions to balance the blades appropriately. In case you experience some wobbling, follow the directions given by the manufacturer.More than 900 have reviewed the Hunter Builder Deluxe on Amazon and the rating score is 4.3 out of 5 stars which is a high rating in comparison with many ceiling fans in the market. 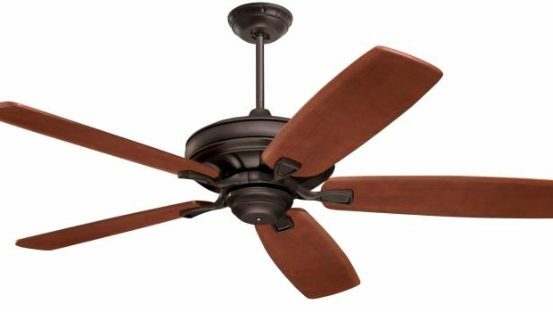 The Westinghouse Alloy is a number one Best Seller on Amazon in the ceiling fans category. 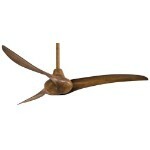 With this smart, simplistic three blades fan you can enrich the modern look of your room. Featuring a classy luminous gun metal, the Westinghouse Alloy features an opal frosted glass fixture that gives a beautiful lighting. The black/graphite blades of this fan are reversible via a switch and the motor of it is a silicon steel with dual capacitor that provides an airflow of 4,083 CFM Ideal for small rooms up to 100 square feet with standard 8 ft. ceilings. According to Westinghouse company, the energy usage of this model is 51 watts (without lights) and the airflow efficiency is equal to 80 CRM per watt. A 78-inch lead wire and a 3/4-inch by 4-inch down rod are included with the fan as well as a 40-watt light bulbs. 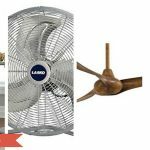 The price of this fan is also very interesting especially with the discount that Amazon have put on it, click here to check this offer. It’s also available in “Brushed Nickel” with wood texture blades. Coming with a new ceiling fan design is a big challenge for brands today. The design of the Minka Aire Wave has impressed me and it will probably inspire other designers to produce a similar style. 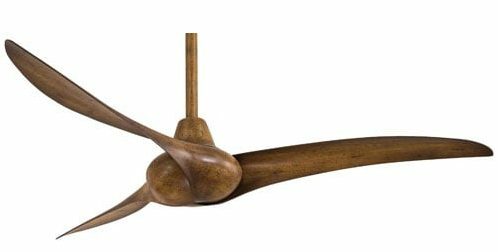 I’m almost sure that it will impress you as much as it did to me and the use of koa wood on this Minka Aire is such a great idea as the wood smoothness gives a very nice light shininess on the beautiful forms of the fan. This fan comes without a light, but there is the same model with a light which is called Wave Light. The Minka Aire Wave is destined to indoor use only. One thing that can be tricky on this ceiling fan is when you want to reverse it you have to get a ladder to use the reverse switch on the fan itself as it doesn’t have auto reverse on the motor. The motor of this ceiling fan is a 172mm x 14mm one with a 48 Degree blade pitch designed to produce a nice AirFlow. It Includes a remote control with 3 speeds, 3.5″ and 6″ Downrods as well as an Angled Ceiling Adapter. It’ s also available in “Silver” and “White” (click the button below to check them out). The Monte Carlo 5DI52WHD-L Discus is very simple looking ceiling fan designed for indoors, especially for contemporary style. On the photo is the white one but it’s also available in Matte Black, Polished Nickel, Roman Bronze and Brushed Steel which I like the most. It’s a 5 blades style which is pretty quiet according to many owners. The airflow efficiency of this fan is 81-Cubic Feet per minute per-Watt and is able to provide 5,209-Cubic Feet per minute . It has a the standard pull chain control to choose from 3 speeds. You can reverse the motor to run clockwise in order to keep your home warm in the winter but the reverse switch on it is manual and not automatic as in other ceiling fans. It measures 52 by 17 inches and the pole is 6″ long. It comes with a 75 watt bulb halogen light and there are other color variations which you can check here. 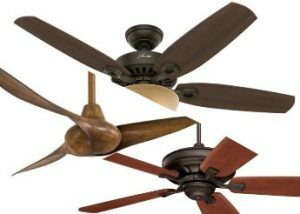 Looking for the best ceiling fan is indeed looking for the top rated ceiling fan brands. Many brands have the reputation to make great home improvement products and their name inspire trust to many customers. But in the ceiling fans market, there are other brands worth discovering and which you may never heard of. Quality and performance levels vary even within the same brand as many ceiling fan brands offer a range of models to pick from. Hunter, Panasonic and Hampton Bay are all big brands that requires no recommendations. Despite the prominence of these brands, many potential buyers look for ceiling fans reviews to make sure they make the best choice, especially for brands they have never used before. To help you get a better idea of the top fans out there I’ve gathered data on ceiling fans from customers who have already bought them. 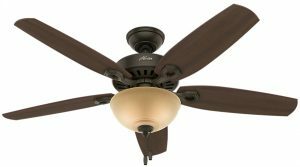 We reviewed 5 if the Top Ceiling Fans out there for you. Our list will Amaze you!